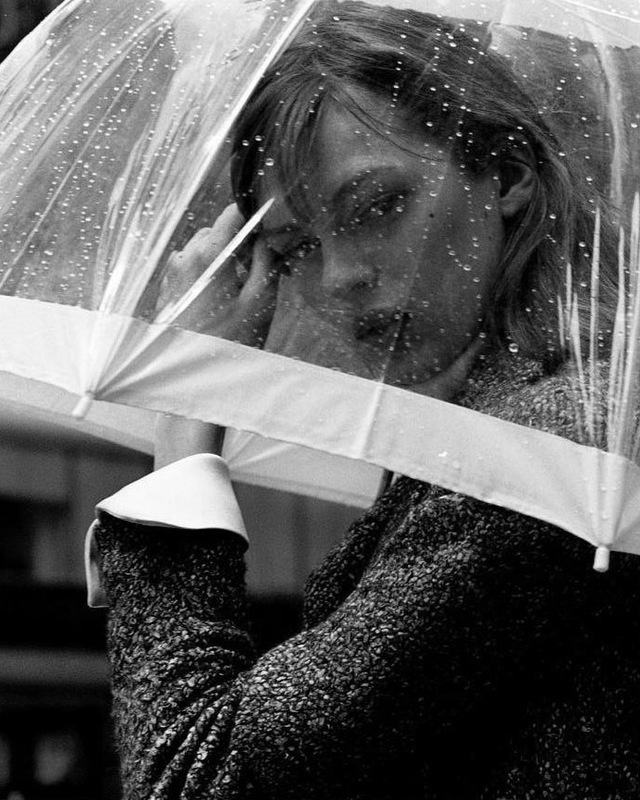 New York rain photographed by Mikael Jansson. Image published in and scanned from Vogue Paris September 2003 issue. so they leaped into the swift river. and the only place where it had any rest at all was on the beach. and the other half into the sea. But they yearned for each other. He felt one half in the sky and one half in the sea. God thought what to do. and immediately both turned to sea water. that affects people and softens them. I painted a painting called This Rain.